The third eye is shrouded in mystery and false notions. 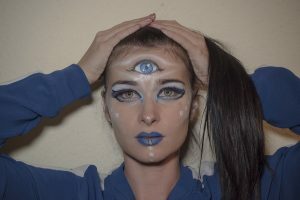 People create myths about what the third eye is and how to open it. These myths lead people astray. They cause people to become confused and frustrated when they gain no results. The third eye is a powerful tool if understood correctly. To dispel all the myths and allow yourself to step onto the path of spirituality and oneness, let’s go in-depth on what the Third Eye is, how to open it, and why you should strive for this life-changing revelation. 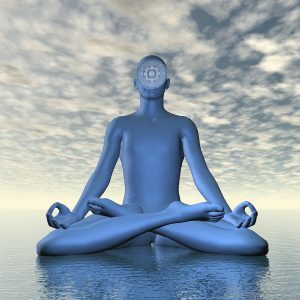 1 What is the Third Eye Chakra? 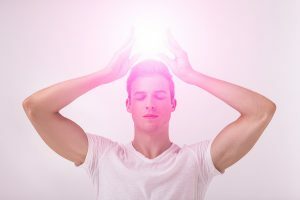 3 What Are the Benefits of Opening Your Third Eye? 3.1 Opening the 3rd eye releases stress, anxiety and worry. 3.3 The third eye is crucial to figuring out your life purpose. 5 Are There Any Downsides or Side Effects to Opening Your 3rd Eye? The third eye is one of seven chakras that all humans have. Chakra, a Sanskrit word that translates to wheel, are spinning energy centers within your body. These start from the base of your spine and move to the top of your head. The key with chakras is balance. All seven will spin just enough to provide the right amount of energy in a healthy person. If a chakra is too open, too closed, or spinning at a weird speed, your health will suffer. The third eye chakra is the 6th chakra. It is also called the Ajna, which translates to “beyond wisdom”. It is centered between your eyebrows and is represented by the color indigo. The energy radiates down to your mouth and up to the top of your head. In scientific terms, opening the third eye is the same as activating the pineal gland. This is a small, pea-shaped gland in the front of one’s brain. Its function is to produce and regulate hormones such as melatonin. This gland regulates sleep through the maintenance of a circadian rhythm (the sleep/wake cycle). Balanced. When balanced, should feel natural and free of resistance. A balanced third eye chakra will allow you to feel equally in tune with the physical world and the material world. Psychic information will flow through you, much like the information you obtain from your five sense, but it will not overwhelm you. Overactive. When a third eye chakra is overactive, the spiritual information comes in overwhelming rushes. Spending too much time engrossed in tarot card readings, astrology, and paranormal experiences leave those with overactive third eye chakras unable to live a human experience. Fortunately, most individuals do not have overactive third eye chakras. Underactive. A more common problem is an underactive third eye. This means that people do not follow their intuition. Society has often shunned intuitive development and casts it aside as useless. This leads to feeling isolated from spiritual experiences. What Are the Benefits of Opening Your Third Eye? The third eye chakra has many benefits to be reaped when it is opened. Being the house of intuitive wisdom, the 3rd eye allows us to experience insight, forewarning, and the highest level of intelligence regarding the past, future, and present. Opening the 3rd eye releases stress, anxiety and worry. Everything that seemed overwhelming now gets put into perspective. Petty worries such as financial stress and relationship concerns fall to the wayside. You are able to tap into their true cause and handle it in a rational, clear-headed manner. The third eye is crucial to figuring out your life purpose. This is figured out through the intuitive wisdom that the third eye provides. The inner intelligence you always possessed comes to the forefront and allows you to truly see where you want to go with your life. The big, wide world out there awaits you. It might seem overwhelming to have all these choices and figure out when you should do, but you need not be afraid. The third eye gives you a wealth of new information about yourself, your past, and your future. It helps you make clear and determined decisions in the present. You understand yourself best and the third eye helps you realize this. Extrasensory gifts are simply one’s capacity to receive information beyond the normal five sense of the body. This does not mean that you will be able to predict the future or control things with your mind. The body is a vessel for the spirit. It connects us to the physical realm and helps us interpret it and perceive it. The physical realm is not all that exists, however. These extrasensory gifts are gifts that we have for “tuning into” other dimensions. These dimensions could be alternative realities, different parts of our own universe, or, most importantly, they could be our own souls. Capabilities vary from individual to individual, much like personality traits. Not everyone is going to have the same personality or the same extrasensory gifts. Clairvoyance, or clear seeing. This means that you can see glimpses beyond the physical realm. You might see images of your own soul, different universes, or something that is happening in a completely different time period. Claircognizance, or clear knowing. This is a knowledge that seemingly appears out of nowhere. You either know something that will happen in the future, something that there’s no possible way you could have known about the past or something integral to your soul. Clairaudience, or clear hearing. Messages come to you through audial means. You are able to hear phrases, words, or sometimes long dialogues. These could be related to any time period, universe, or soul relation. Clairempathy, or clear feeling. Normal empathy is the ability to relate to feelings outside of yourself. The definition only carries so far as the physical world. With Clairempathy however, the ability is expended farther out. If you are extremely sensitive to emotional energy, you have Clairempathy. Clairtangency, or clear knowing through touch. If you’ve ever touched an inanimate object and been rushed with an influx of information about its soul, heritage, and history, you are clairtangent. Clairsentience, or clear knowing through feeling. This is different from Clairempathy is that this is the ability to feel the present, past, or future physical and emotional states of others. This means that they can sense the energy of buildings based on the people that have inhabited it in the past. Clairgustance, or clear knowing through taste. You can taste things on your tongue without there being anything in your mouth. You know through your sense of taste what the mood of the room is, how people are feeling, and why they are feeling that way. Clairalience, or clear knowing through smell. If rooms smell different depending on the mood of the crowds in them, you are probably gifted with this. Are There Any Downsides or Side Effects to Opening Your 3rd Eye? Some people are afraid that opening the third eye could lead to irreversible cons that could ruin their life. Opening the third eye does not have any long-term negative effects. If the steps are followed and the individual is ready to receive all the information from their eye opening, there should be no problem. The issues lie in trying to force your third eye open. If you try to force your third eye open, migraines will be the only result. These will present themselves as strong aches in the center of your face, right between your eyebrows. Awakening your third eye requires dedicated, patience, and determination. Society has trained us to shut our third eye tightly and never open it. We’ve been taught to be afraid of wisdom. Inner wisdom is considered unnecessary and sometimes even dangerous to society. All of us, well almost all of us, were raised in situations that isolate us from our inner wisdom. This is through no fault other than societal pressure and norms. The lesson of conforming, obeying the rules without question, and ignoring our inner voice has become so ingrained into us that it’s hard to shake it off. Don’t worry. Even the most devout yogi has had to deal with these issues. The years of conditioning could cause you to feel confused most of the time. You might be feeling that you see everything through a fog and don’t really understand life. This could lead to depression, anxiety, and worry. It is extremely disheartening and distressing, but don’t worry. It will be alright. You have the ability within you to unlock your third eye, no matter how you’ve been conditioned to think otherwise. Narrow-mindedness is the mana of closed third eyes. If you maintain an intellectual curiosity and continue to seek learning experiences, this will help with awakening the third eye. Explore alternative beliefs and ideas, even if they make you uncomfortable. Processed foods are designed to make us sick. Our bodies are not able to stand the amount of fat processed carbs, and sugars that convenient/fast foods provide. The overflow of these could be keeping your third eye shut. The unnatural process of factory farming leads to animals that are horribly murdered. The bad energy from these murders stays in the meat when you are consuming it. On a more general note, the hormones pumped into the meat as also not natural. It’s best to with cut out meat entirely, or only eat small amounts. The closer your food is to the source material, the better. These are healthier for you and easier to digest. Diet is important for influencing energy levels and hormones. Meditation has been construed as this impossibly difficult task by many individuals. Force is the opposite of meditation. One cannot force themselves to meditate, it must come naturally. Don’t try to control thoughts and posture, just observe what your mind and body do. Don’t overthink. Just go with the world around you and don’t try to change the flow. These are crucial to detoxifying your body and strengthening it. If your body is in top shape, opening the 3rd eye becomes so much easier. Antioxidant-rich foods include blueberries, quinoa, cacao, coconuts, and various other fruits and veggies. Water and exercise are amazing and natural ways to flush toxins out of your body, leave you feeling invigorated, and hydrate your brain. The core beliefs are unconscious ideas you have about your soul, identity, and what you deserve in life. These are very restricting and can lead to bad energy. Feelings and thoughts about your core beliefs should be journaled. Cognitive distortions are mistaken beliefs that, again, restrict you and your third eye. Crystals are a great way to help you activate your third eye. Using them during meditation, visualizations, and carrying them around can help remind you of your connection to the spiritual. The third eye opening comes gradually and affects everyone differently. If you are looking for signs, there are some common symptoms that could hint at the third eye activating. Remember though, the third eye opening is different for everyone. You might experience all of these symptoms or none, but that doesn’t mean that you are straying from the path. 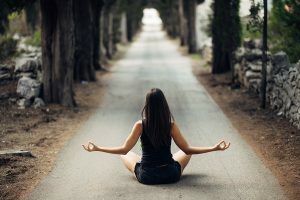 Your spiritual journey is your own and though resources such as this one are here to help you, it is ultimately up to you to take the steps to open your third eye. It is possible.